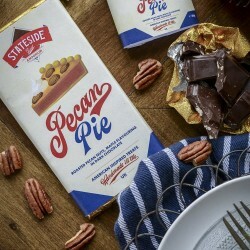 Stateside Treat Emporium launched with an aim to cause a stir in the chocolate market by recreating a selection of nostalgic American flavour combinations in a range of chocolate products. 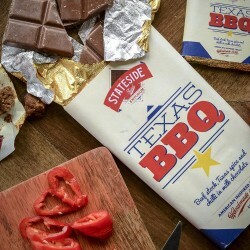 The inspiration for our flavour combinations was borne from the desire to recreate a selection of flavour combinations experienced in American quite uniquely in chocolate. All of our products are handmade by a highly experienced choclatier in the North East of England. We use some of the finest quality ingredients to ensure our products are to the highest of standards. In addition where ever possible we use natural ingredients and try to source these from local businesses. 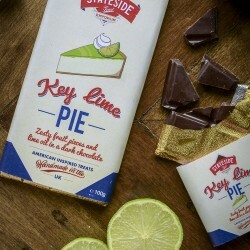 Since the launch of the business at a Food Event in 2015 where our products almost sold out we have continued to expand our range of products and spread our unique chocolate through various food events and stocking it at various retail outlets throughout the country. 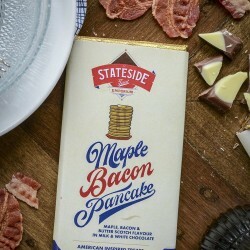 Our range now includes over 60 different products with unique flavour combinations including our signature Maple Bacon Pancake milk and white chocolate bar as well as our highly popular Ice Cream Float white chocolate bar.